1. Update your profile picture to showcase the person that brings out the best in you. 2. 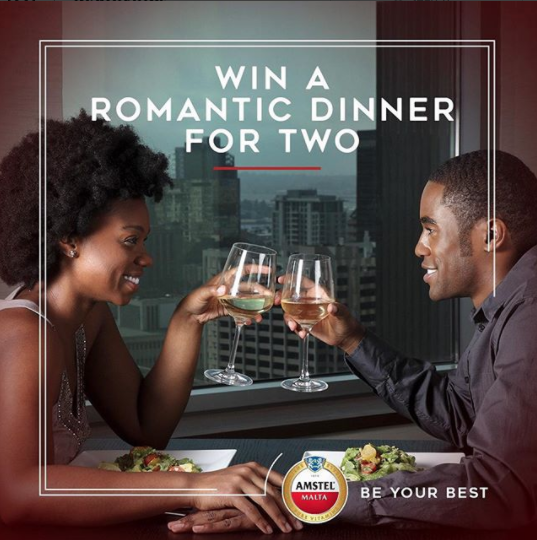 Post a screenshot in the Post HERE and you could win 1 of 5 gift cards for a romantic dinner for two. Click on the 'TRY IT' button this post on Amstel Malta Facebook Page to update your profile picture. 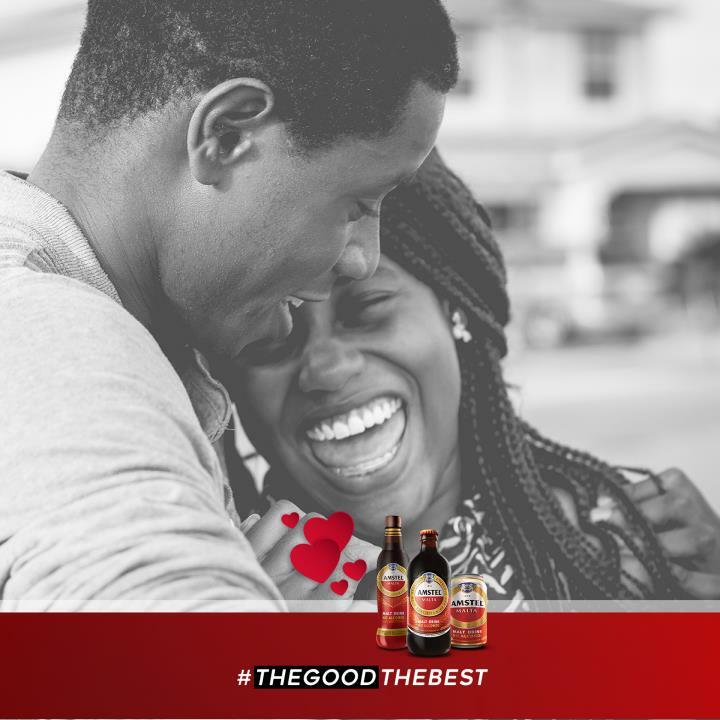 The winning couple will receive 1 (one) of 5 (five) vouchers to a romantic dinner for 2 (two) valued at 50,000 (Fifty Thousand Naira) each. Entries close 8th February 2018.